Ásbjôrn had the stone erected in memory of Bótríða, his wife. May God ever relieve (her) spirit. 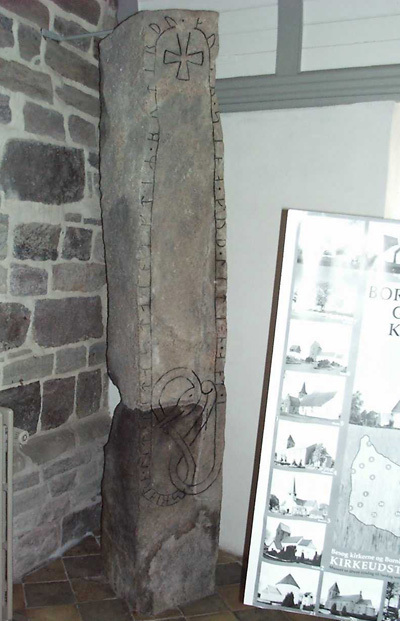 There are quite a few rune stones on the island of Bornholm. This one stands in the porch of Bodilsker church. Jeanne sent me the photo. Thanks !